Strong Enough to Support a Train! Best Angle Tree Stakes are made from railroad T-rails --- originally made to withstand the weight of loaded trains. These T-rails are heated, slit into three pieces, and then rolled into angles by Jersey Shore Steel Company. The head and flange become the larger angle sizes; the web is rolled separately to smaller dimensions. Once reheated and rolled, the dense grain structure of the original T-rail becomes even denser, giving the steel a greater strength-to-weight ratio. High-carbon rail steel has tremendous tensile strength: at least 80,000 psi. The Strength of High-Carbon Rail Steel ... Nothing Compares! 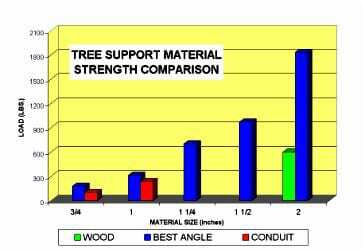 Best Angle Tree Stakes can handle heavy loads. They will support your heavy crops. They will withstand high winds. 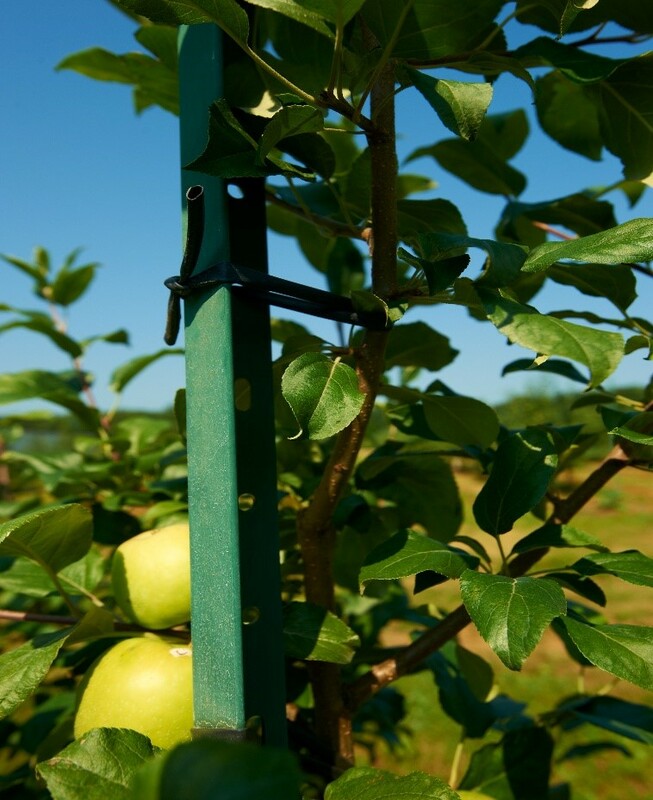 Best Angle Tree Stakes have fabricated features that save you time and money. 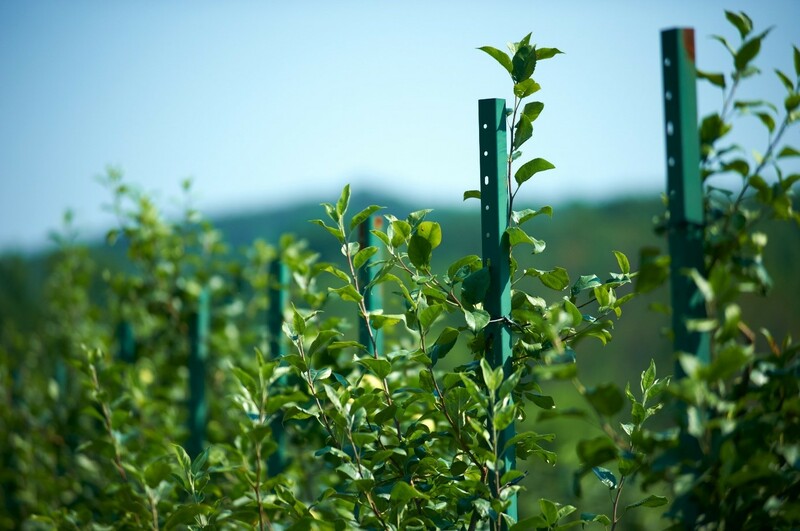 Our standard Best Angle Tree Stakes are fabricated to rigid standards by Jersey Shore Steel Company. 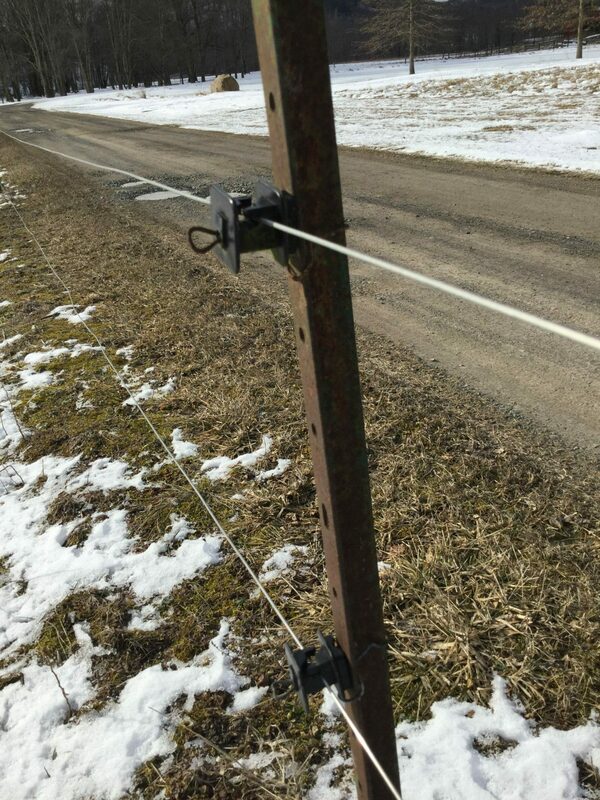 The fabrication on a Best Angle stake allows almost all tying materials (such as plastic-chain ties, twines, bands, tubings, and wires) to be used in a quicker and more effective way. The hole sizes and shapes in the stake permit the tying materials to be easily attached to the stake. The tree does not need to be pressed against the stake, thereby promoting more limb and leaf development, as well as reducing rub damage. Our fabricated stakes have a large numbers of holes that provide support points exactly where you need it. You can install them to a uniform depth with the depth marker holes at 24 inches and 30 inches. *Custom fabrication is available. Please contact us with your needs. While the vast majority of our stakes are sold unpainted, painted stakes are offered as an optional feature. Painted stakes are created using a modern powder-coat paint process that applies a baked enamel finish to prevent chipping and rusting. If you have other color requirements, please contact us. Rail Steel - The strong, economical, responsible choice.